I know, the UAE team was impressive as well. The Armenian team's fast passing is great, I think Euro 2016 will include Armenia. international soccer's governing body, FIFA. all the football teams outside FIFA. Occitania de Fotbol, Sapmi and Tamil Eelam. together with Ellan Vannin and Countea de Nissa FA. For sure Algeria was the better side in this match, Armenia needs a much better defense. effectively made sure of victory with Algeria's third. Good Luck Armenia, this should be a real test! YEREVAN, June 6. / ARKA /. The Swiss head coach of Armenia’s national soccer team, Bernard Challandes, said today he wants to change the mentality of the Armenian team. Armenians are playing a friendly match today versus Germany in Mainz. "I want to change the mentality of our team to make them play not only on counterattacks, but also to show good attacking football, “Challandes was quoted as saying by the Armenian Football Federation. Speaking about the upcoming match against the Germans, the Swiss specialist said this game is very important for the Armenian team because ‘such an opportunity to play against a first class steam is not given every day." He said he has worked with the team for 12 days only and needs time to achieve good results. Armenia’s squad held two friendly games in May. It beat on May 27 the United Arab Emirates 4-3 and lost 1-3 to Algeria on May 31. Both games were played in Switzerland. team is of armenian descent. before making his first debut in a Coppa Italia match in November 2006.
way, he established himself as one of the best full-backs in Serie A.
prelude to his appearance in the coach's 23-man list for Brazil 2014.
value, his career was already beginning to unravel. passed him on to Torino. Immobile. The conditions were right for him to blossom at last. clubs, refusing to listen to several offers from prestigious outfits. continue yet if Italy secure at least a point against Uruguay. As long as I have been in America I never learned the concept of that so called savagely primitive thing they call Football., when many of the players end up with brain damage from concussions. Where is the FOOT, where is the BALL? Except when Garo Yepremian kicked that thing with his bare FOOT. ** my big foot in my big mouth again. It is so boring, when they say a minute to the end and it goes for 10 boring hours of stop, stop again and stop a million times.. This is not. 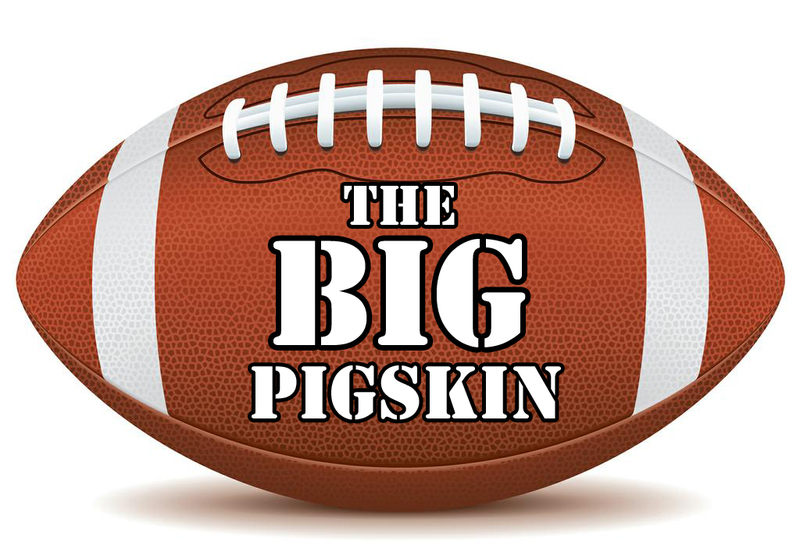 At times also called a pigskin. Do jews and muslims play with it? Have you ever wondered where the word SOCCER comes from? Within the English-speaking world, association football is now usually called football in the United Kingdom, and mainly soccer in Canada and the United States. Other countries, such as Australia, Ireland and New Zealand, may use either or both terms interchangeably. Below an article that on the surface looks like astraightforward , yet if you read it you will see that it tongue in cheek sarcasm. Conservative pundit Ann Coulter is known for her questionable, often offensive rants, but her latest tirade is pure trolling of soccer fans everywhere. In a syndicated column published less than 24 hours before what was perhaps the U.S. team's most important game in nearly four years -- when most soccer supporters were likely too busy and nervous to bother to respond to tired anti-soccer arguments --Coulter argued that a growing interest in the sport is a sign of America's "moral decay." "Do they even have MVPs in soccer? Everyone just runs up and down the field and, every once in a while, a ball accidentally goes in," Coulter writes, not bothering to check if her question actually has an answer (it does). "That's when we're supposed to go wild. I'm already asleep." Among the reasons Coulter says she thinks soccer is horrible: liberal moms love it; some games end in scoreless ties; you can't use your hands; it's foreign; and it's like the metric system. "I've held off on writing about soccer for a decade or about the length of the average soccer game so as not to offend anyone." We could have waited another 10 years, but it's worth noting that World Cup soccer is actually almost always a 90-minute game, with a 15-minute halftime break and a few minutes added on for stoppage time. While games can go longer for extra time and possibly penalties in knockout rounds, game times are usually predictable, and much shorter than other major American sports, which have commercial breaks, timeouts and other general stoppages in play, which also halt the clock. "There are no heroes, no losers, no accountability, and no child's fragile self-esteem is bruised." In the U.S. World Cup game against Portugal, defender Geoff Cameron had a crucial miscue, which led to an early gift of goal. And how about U.S. player Jermaine Jones' rocket of a goal to tie it up -- was that not a heroic display of individual skill? And ask Argentinians if Lionel Messi isn't a national hero. "Do they even have MVPs in soccer?" Actually, yes! What Americans know as the most valuable player is called the "man of the match" in soccer. You can find a list of those guys from this year's World Cup matches right here. There's also a Golden Boot and a Golden Ball awarded to the highest goal scorer and best overall player in the World Cup. "Everyone just runs up and down the field and, every once in a while, a ball accidentally goes in." It's true, players do run a lot, to the tune of 100-plus kilometers -- or for Coulter, more than 62 miles -- per team, per game. The U.S. team ran 114 km -- about 71 miles -- in its loss to Germany, and midfielder Michael Bradley ran 13 km alone. "The prospect of either personal humiliation or major injury is required to count as a sport." Coulter must not know about U.S. forward Clint Dempsey, who's been playing in this World Cup with a broken nose, or any number of players who may or may not have suffered concussions, only to soldier on through the rest of the game. The players union recently brought this issue up to FIFA, the World Cup's governing body. Well, this isn't the first time Coulter has hated something for being "foreign," so, what can we say? In her attempts to fight claims that soccer is not, in fact, getting more popular, Coulter guarantees that "No American whose great-grandfather was born here is watching soccer." Sounds like an airtight argument, just like the rest of them. Too bad for Coulter, though, that the U.S. team survived Group G -- the so-called group of death -- and will advance into the round of 16 at the World Cup. Let's see how many fourth-generation Americans tune in then. Don't get us wrong, Coulter -- you should feel free to hate soccer. But before you go writing a column about how doing so is "America's Favorite National Pastime," try formulating an argument that doesn't end up proving just how idiotic that "pastime" is. The U.S. team will face the winner of Group H on Tuesday, July 1, at Arena Fonte Nova in Salvador. They'll face Belgium. Edited by Arpa, 29 June 2014 - 08:47 AM. Serbia tomorrow of great significance. collapse of the Soviet Union, they were just another minnow. played fluid, neat, attacking -football. but there are mitigating circumstances. results, most notably winning 4-0 away to Denmark. but his start was disappointing as Armenia lost 2-1 in Denmark. five-way fight, or at least it will if Armenia can get off the mark. will be hampered by the foot injury that has ruled out Mkhitaryan. sign of their enhanced status. the double as a player and coach at Spartak Moscow. homeland following disagreements with officials at Spartak. style, because the players had a different mentality. from childhood, so they had adopted the spirit of the people. before his death from cancer the following year. as caretaker. "The results do not suddenly come out of the blue,"
trust and have a clear understanding of what needs to be done. or our team doctors. We are a whole and healthy mechanism." wither if there is not progress towards fulfilment. Armenia could do with starting to deliver tomorrow. Today just about over one hour later Armenia plays Serbia. Good luck boys!!!!!!!! It ended in a tie, unfortunately Armenia couldn't convert the penalty into a goal with two tries and gave up the tying goal at ninetieth minute. football team as its permanent captain, according to The Guardian. enhance the good reputation of Armenian people in Iran." brands and is now a household name. and the ancient St Thaddeus Monastery, a Unesco world heritage site. but the German powerhouses seemed to have beaten them to the post. claimed that they are on the verge of clinching Darmian's signature. transfer of the Italian right-back. 11 caps for the Azzurri. scoring twice and assisting one goal. who qualify automatically as hosts, and non-FIFA members Gibraltar. They were drawn into seven groups of six teams and two of five. to decide the remaining four European berths.